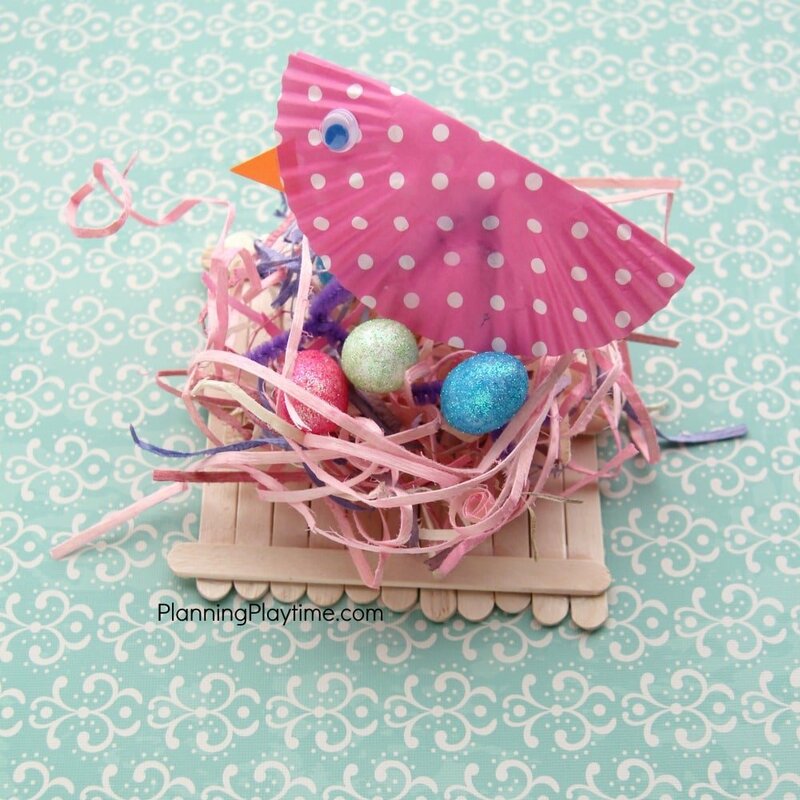 This past weekend the kids and I made Popsicle Stick Bird’s Nest Crafts, and it was so much fun! We love to look at bird’s nests, and we have several on our property. One family of birds takes up yearly residence above our garage, and last spring we opened up our BBQ grill to find it had been renovated into a large and luxurious bird’s residence. For our nest crafts, we wanted to use supplies we had in the craft closet, and popsicle sticks seemed like just the thing. The girls all sat around the table and had the best time designing their nests, and then gluing them together. 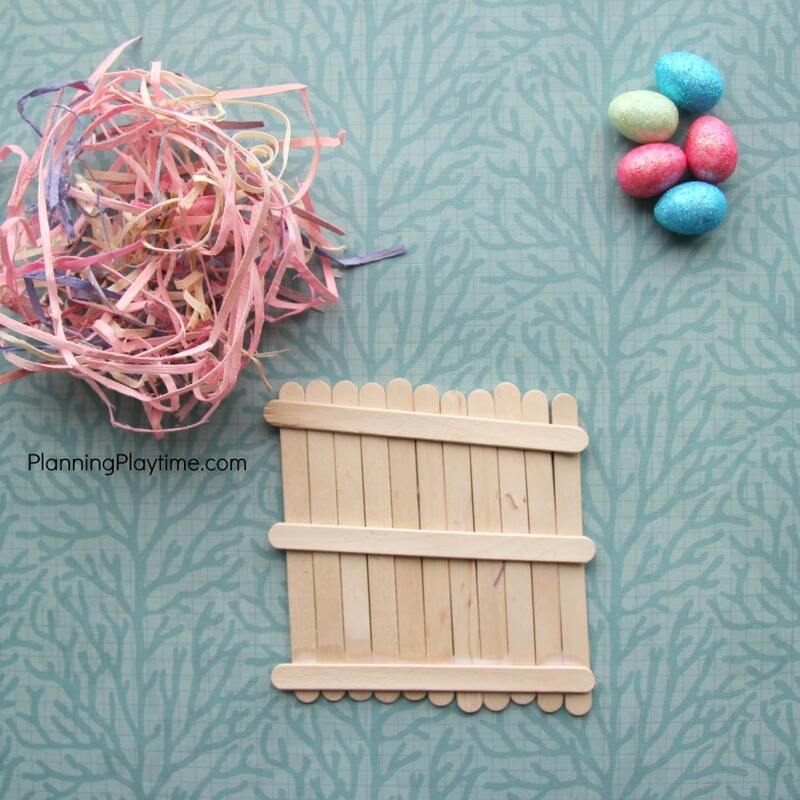 Once we had the popsicle stick nests put together, we topped them with Easter grass and pipe cleaners. We had several different styles, because everyone got to design their own. The creativity bug was catching, and it was so neat to watch them all work. I had a bag of glittery foam eggs from the dollar store that most of us used on our nests, but one of my girls had the brilliant idea to use buttons as her bird’s eggs. We had a few different styles of birds to sit in the nests as well. My daughter free cut hers, and added a fan fold wing through the center. I absolutely loved how it turned out. 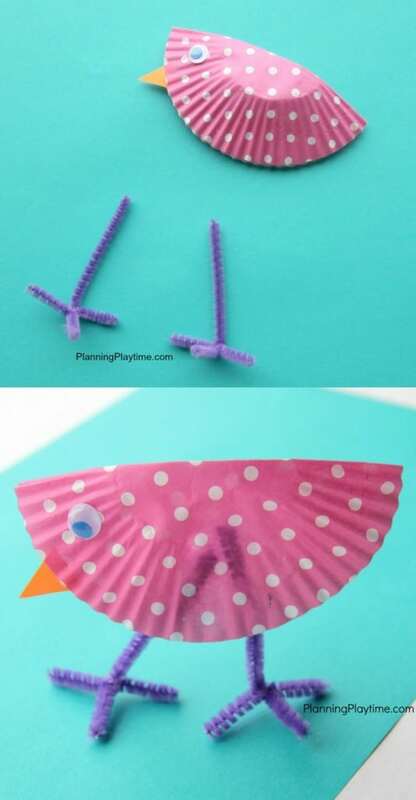 We also made birds by folding a cupcake liner in half, adding an eye and a beak, and then shaping legs out of pipe cleaners. With a bit of adjusting, these birds could stand on their own, which was pretty cool. In the end, everyone had a unique popsicle stick bird’s nest and a bird to go with it. It was such a fun spring craft, and I hope you get a chance to try it with the kiddos in your life. I love this project- simple, but adorable craft! I love this project! I love all of your motherhood posts too! I am a mommy to a 2 year old! Thank you! Motherhood is a ride, for sure, but I love it.